We have found Sidney A Culpepper's and Minnie May Cannada's marriage certificate date listed under OKgenweb Latimer Co. OK. married Oct. 9 1898. He was 28 and she was 15 yrs. of age. Elonza Culpepper, Hiredman, M, 16, S, OK/Unk/Unk, Laborer Farm. John T. Culpepper married Laura Blackman on 15 Nov 1896 in Autauga Co., Alabama. Mattie L. Culpepper, Daughter, F, W, 2, Sng, AL/AL/GA. John T. Culpepper died 24 Oct 1922 in Montgomery Co., Alabama. E-mail written 2000 to Lew Griffin from Bill Kennedy (gs/o #1939), Phone (678) 481-7838. 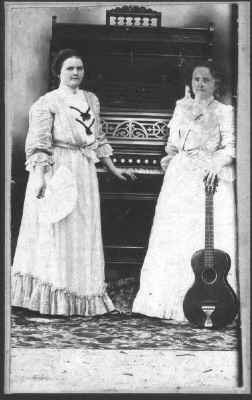 Newton Culpepper married Lula Shear on 27 Jul 1897 in Autauga Co., Alabama. 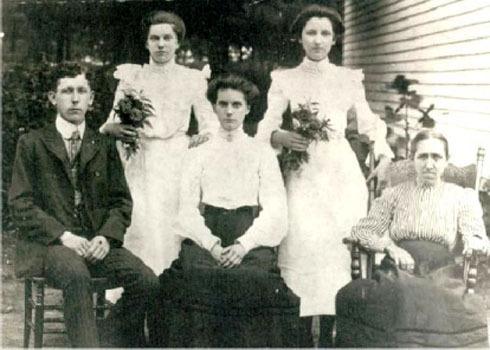 Newton Culpepper married Lula Shear on 29 Jul 1897 in Autauga Co., Alabama. Lucretia Culpepper, Wife, W, F, Mar 1882, 18, md 3 yrs, ch 0/0, AL/AL/AL. + Wm. D. Culpepper, (Jr), 3 Feb 1901 – 6 Jan 1944. (Son) Culpepper, White, born 7 Aug 1913 in Autauga Co., Alabama to W. D. Culpepper and Lula Shear. Babe Culpepper, born 1915, White, Native of Alabama; Resided in Autauga Co., Alabama; Enlisted on 17 Dec 1942 in Alabama at Fort McClellan in the US Army for the duration of the War plus six months; Education: Grammar school; Marital Status: Married; Height: 72; Weight: 159. William D. Culpepper died 7 Jan 1944 in Autauga Co., Alabama. Jackson Co., TX: Alexander J. Culpepper and Cassandra Andrews, 4 Oct 1847. E-mail written 1999-2006 to Lew Griffin and Warren Culpepper from #1577) Kristi Kay Tuttle (2gt-granddaughter of Bettie Adelia Culpepper Wilkerson, Shiner, TX, e-mail address. E-mail written 7 Jun 2012 to Warren L. Culpepper from Sue Wilkerson (desc/o #1636), e-mail address. Celia (Culpepper) Brunett, F, 26, Wife (Daughter), M, TX NC TX. 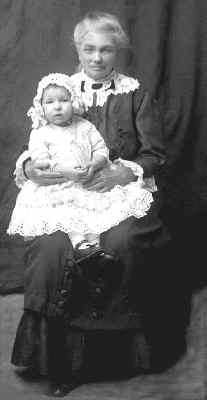 + Mamie Frances Culpepper, 3 Dec 1885 - 9 Jan 1895. + Laura B. Culpepper, 1870 – 1949. Annie L. Culpepper died 2 Nov 1949 in Montgomery Co., Alabama. District 7, Page 243C, ED 77, sheet 39. Lavinia Culpepper, 2, F, Wh, NC. Amarios Culpepper, Dau, F, sng, Wh, 11, NC/NC/NC. E-mail written Jan 2008 to Lew Griffin from Jason Etheridge, Phone 252 519-4466, e-mail address. Elizabeth Braswell, MotherL, F, wid, Wh, 75, NC/NC/NC. Bettie Culpepper, White, born 1846-1847, died 23 Oct 1917 in Wilson Co., NC. George B. Culpeper, Carpenter, M, Wh, 51, Md1-28 yrs, NC/NC/NC, Carpenter-House.